5 December 2014 – I got a Leopold fellowship! 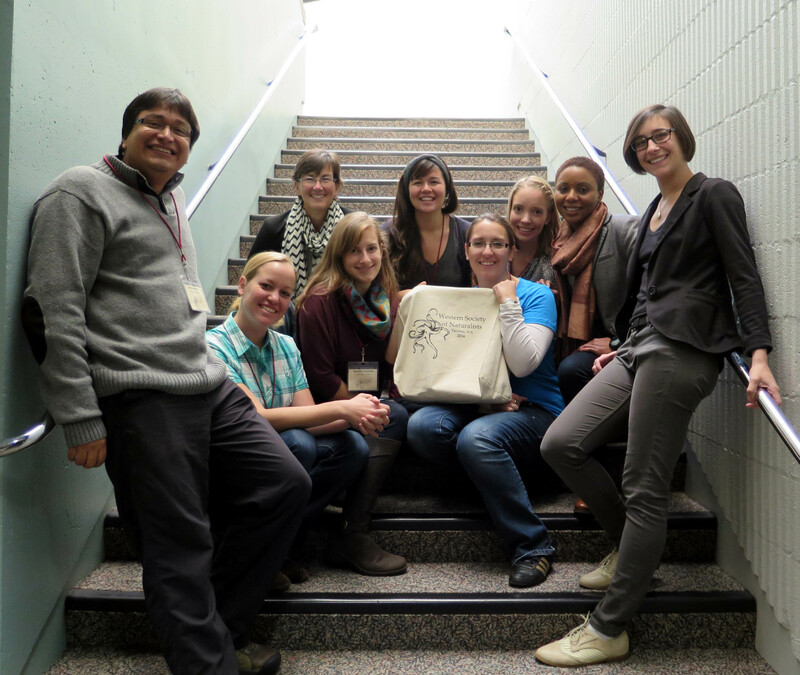 Just announed: the 2015 cohort of Leopold Leadership Fellows… and I’m in it! I’m excited beyond words 🙂 More about it in the New Year. Nicola just won a prestigious graduate scholarship from the Organisation of American States. The OAS grants just two of those per country. Congrats Nicola! 30 October 2014 – Better than Vogue! 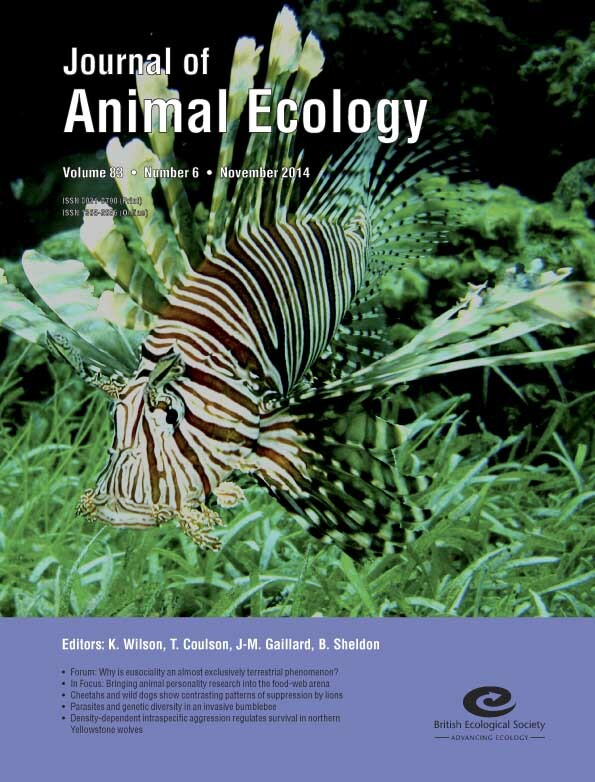 Steph and I got the cover of Journal of Animal Ecology!!! 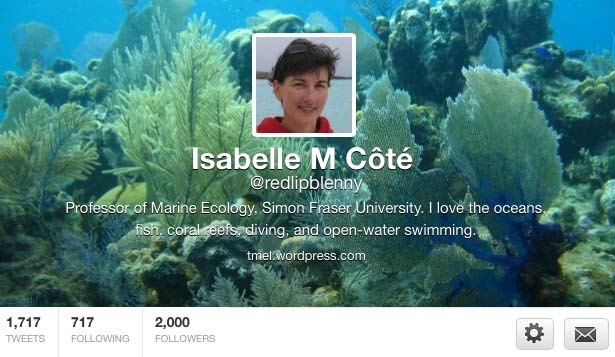 20 September 2014 – Another Twitter milestone! Brett (and assistant Sarah) hauled crab traps and plankton nets throughout Barkley Sound, ran hugely successful functional response experiments and somewhat less successful (!) enclosure experiments with invasive green crabs at Bamfield. She discovered that the invaders are now on the doorstep of the field station!! 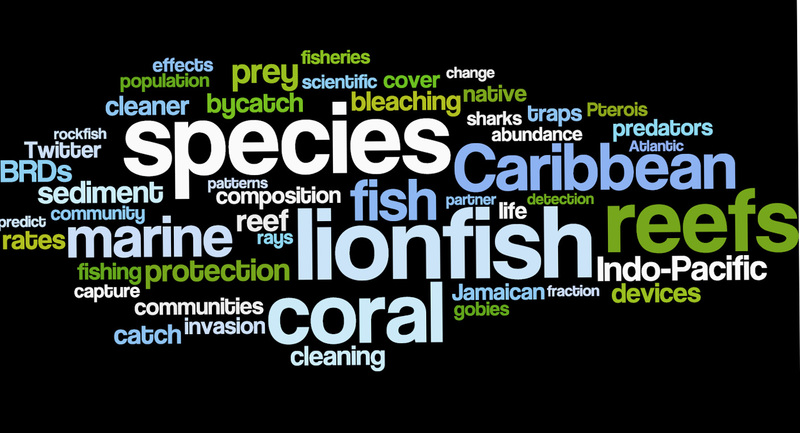 Nicola interviewed tourists in Nassau as part of a discrete-choice experiment to value the impacts of lionfish. She also got her two major Bahamian scholarship renewed. Yay! 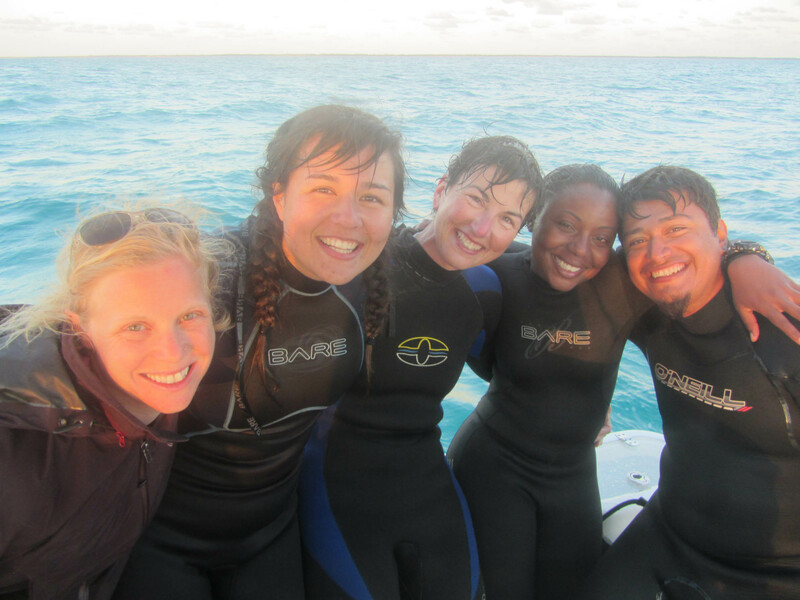 Fiona (and assistants Sev and Kyla) had a wildly successful season at the Cape Eleuthera Institute, catching fish, measuring nutrients in their pee, and assessing their effects on seagrass. Jessica spent a lot of time underwater in Howe Sound, assessing the changes that have occurred since the disappearance of sunflower stars last summer. Lais has been back and forth between Vancouver and Bocas del Toro, Panama, where she organised a very successful lionfish outreach campaign aimed at school kids and restaurant owners. 2 September 2014 – Welcome Adrienne! TMEL welcomes new MSc student Adrienne Berchtold, who comes to us from Western U. Adrienne is going to look at learning and perception of prey to novel, invasive predators. 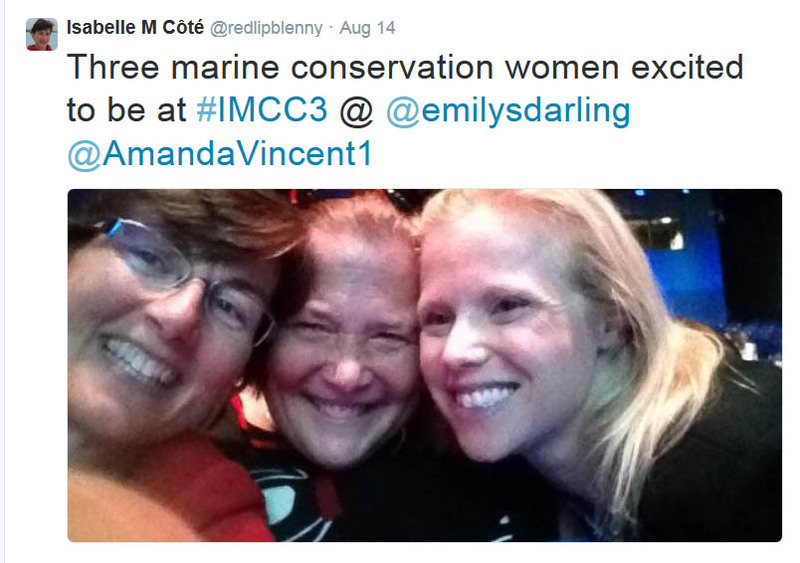 I’m sure I’m the only person who shares all of her initials (IMCC) with the premier marine conservation conference! 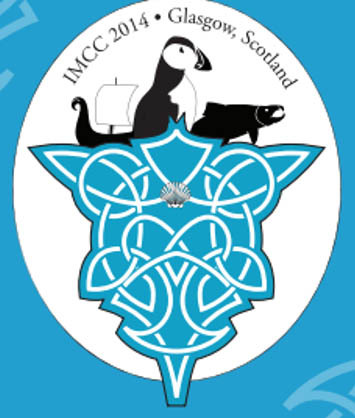 Natascia, Aleks and I attended the 3rd International Marine Conservation Conference in Glasgow. TMEL alumni Emily and Steph were also there, with Emily giving a dazzling plenary to open the meeting! It was an awesome Tweetfest – lots of good talks and thought-provoking discussions. It was also great to see so many old friends. Oh, and the weather was not as bad as expected. I attended a workshop on functional approaches to coral reef ecology and conservation in Kaohsiung, at the south end of Taiwan. The workshop was superbly organised by Vianney Denis. It showcased the great work of researchers from the Academia Sinica as well as the warm hospitality of Taiwanese people (not to mention the very fine cuisine!). I would go back in a heart beat! 22 May 2014 – Congrats to Christine! Christine Konrad, who did an independent study semester in TMEL this spring, will receive a Convocation Medal for her academic achievements. For her thesis, Christine asked whether the acclimation rates used in experiments to measure the responses of marine organisms to warming seas bear any relevance to the rates predicted by IPCC. Christine will start an NSERC-funded MSc at Dalhousie in September. The SciDive course at Bamfield was fabulous. Great students, great co-instructor (Bamfield DSO Siobhan Gray), great diving, great weather. Everyone tweeted. The whole adventure is storified here. The lab is now empty!! Everyone is in the field: Natascia is in Corsica, Luis in Mexico (Veracruz and Cancun), Brett (and assistant Sarah) in Bamfield, Nicola in Nassau, Fiona (with assistants Severin and Kyla) in Eleuthera, and Jessica is off-campus at the Vancouver Aquarium. 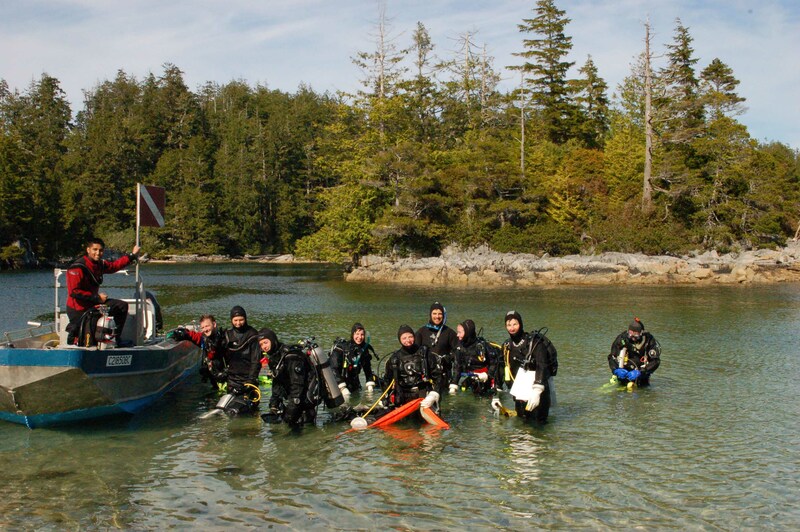 This year, I’m teaching Scientific Diving as a field course at Bamfield Marine Science Centre. Check out #SciDive2014 on Twitter and expect a storified account of what is shaping up to be an amazing three weeks. …amounts to a fair bit actually, especially when it comes to listing under our Species at Risk Act. I just did an interview for CBC The 180 on the downlisting of humpback whales and what it means for whale conservation and how science is used by government in Canada. You can hear it here. 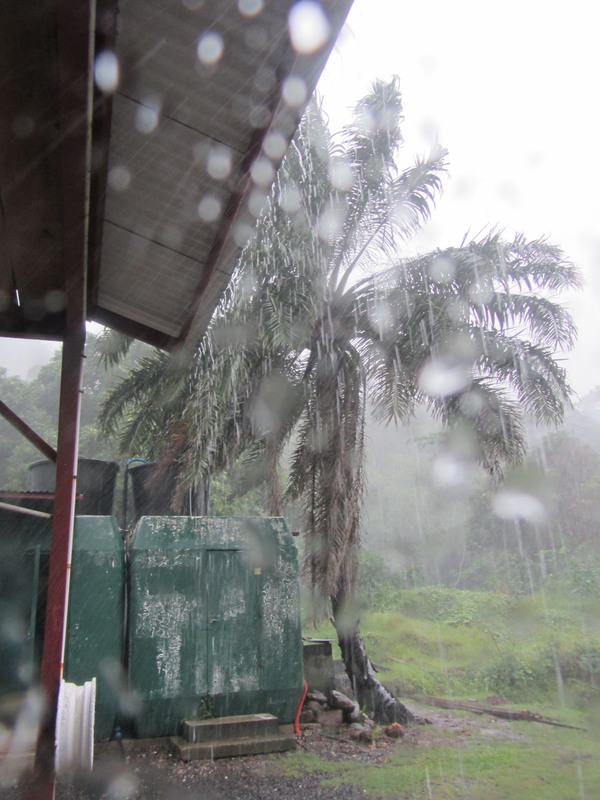 Wet is the word that best describes my fieldtrip to Moorea – both in and out of the water. It rained…nay, it poured most of the time I was there. They’re not kidding when they call it the rainy season! Read all about it in the latest Fieldnotes. But the water was 28C and the work went better than expected, so who’s complaining. Bits and pieces of the winter semester… I just attended the annual meeting of the Canadian Association of Underwater Science (CAUS), a fun, casual affair in beautiful Quebec City. I also gave a departmental seminar (in English :-/) at Canada’s oldest university: Laval U (est. 1663!!). 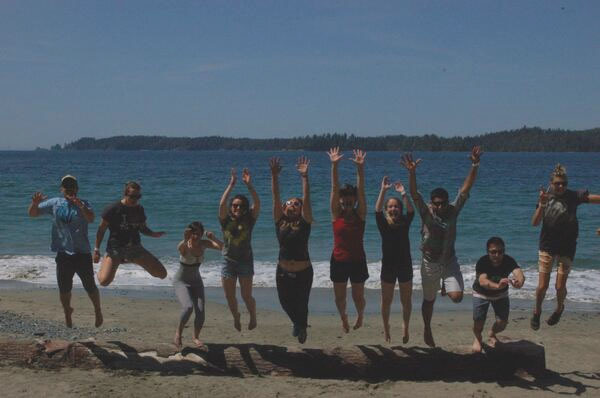 In the meantime, the whole lab (minus Nicola) went to the Pacific Ecology and Evolution Conference (PEEC) in Bamfield. Natascia and Brett flew the TMEL flag high, with prizes for best talk. Way to go, ladies! And tomorrow, I’m off to the CRIOBE (not sure what that stands for) field station in Moorea, French Polynesia, for a couple of weeks of work with Mad Suzie Mills. We’re all back home from CEI – Emily at U North Carolina, and the rest of us – Luis, Nicola, Fiona and I – at SFU. We worked hard, accomplished an incredible amount of work, and had loads of fun. These great successes were capped by a 27-h journey back to Vancouver. Argh. Who knew the Bahamas were that far from BC! 31 January 2014 – Milestone! I’m off! To Montreal first, for a meeting to discuss Life in a Changing Ocean, under the auspices of the Canadian Institute for Advanced Research, and then to Eleuthera for some lionfish work. 6 January 2014 – Welcome Jessica! Jessica Schultz has just joined the lab to start an MSc. Jess is currently a research scientist at the Vancouver Aquarium, and she will keep her position there while carrying out her research on the impacts of the mass mortality of seastars in Howe Sound. 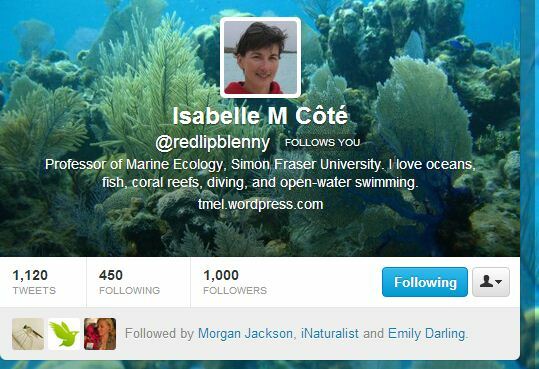 Quick summary of 2013: 3 students graduated (Brett, Emily, Steph); 2 new students started (Fiona, Nicola); 13 papers published; 4 book chapters; 4 weeks of fieldwork and a few conferences; fun teaching at Bamfield; 900 Twitter followers; 4 blog pieces and a new blog site; some money (but who’s counting that); and my very first word cloud (of the titles and abstracts of my 2013 papers). Happy New Year!